We specialize in Vintage Japanese and other "Bizarre" Guitars and Guitar Catalogs from the 1890's-present. 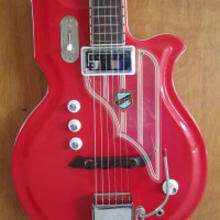 We have sold guitars and catalogs through our website www.vintaxe.com since 2002. If you are interested in a guitar and would like a video demo or are searching for a particular catalog please ask.